Exploring the Current State of the World Of Adoption: What’s Taking So Long? If you have been waiting and waiting and waiting to adopt, you may be thinking to yourself, “What’s taking so long?” The answer is twofold. The truth is, adopting a child is a lengthy process. “The wait is typically between two and seven years for a healthy infant,” according to the National Adoption Center, though some adoptions can be much quicker. Wait times vary pretty drastically from adoption to adoption. This is true for a number of different factors. Your Adoption Plan: “Adoption timelines vary depending on route,” advises Adoptive Families. The more rigid your adoption requirements (domestic vs. international, race, gender, age, etc. ), the longer the process can take. Conversely, “the more flexible a family’s adoption plan, the more exposure they will have with expectant mothers, which will help reduce their adoption wait time,” according to American Adoptions. Adoption Pool: Perhaps the biggest factor affecting wait times is the adoption pool – those children currently available for adoption. “All families must understand that no matter what they do, their wait will still be unpredictable,” advises American Adoptions. It is important to be patient. On top of adoption inherently being a rather lengthy process, adoptions are down across the country. According to the latest count released by the National Council for Adoption (NCFA) in February 2017, adoptions dropped 17 percent from 133,737 in 2007 to 110,373 in 2014. A large portion of this is due to a sharp decline in international adoptions, though domestic adoptions are down slightly as well. And that downward trend has continued in recent years. “The overall number of U.S. adoptions has dropped significantly,” writes David Crary, Associated Press. Experts speculate that this steady decline could be due to a number of factors, including declining teenage pregnancy rates and the fading stigma attached to single motherhood. As a result, “Would-be adoptive parents confront the specter of long waiting times,” adds Crary. 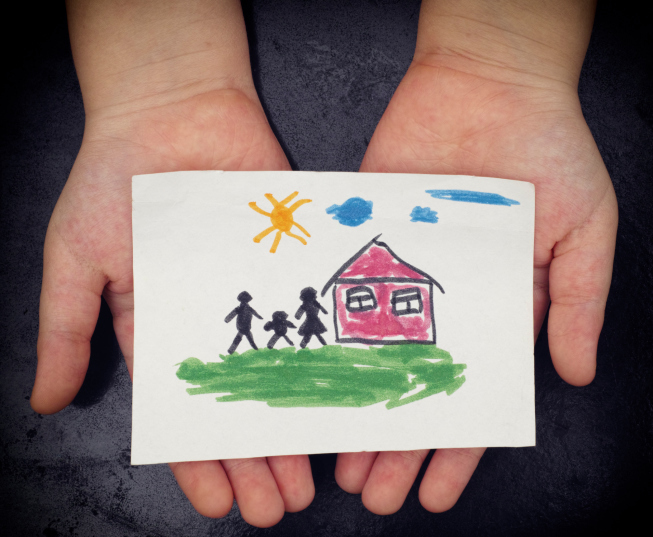 Approximately 1 million families are trying to adopt at any given time, according NCFA estimates. Johnson, however, believes there is a solution for the decline in adoptions. So, please don’t be discouraged. The adoption world will bounce back! The professionals at Adoption Makes Family have many years of experience in adoption services, helping couples and singles explore their options for creating or growing their family. We are a non-profit (501-C3) licensed adoption agency based in Maryland. “Adoption Cost and Timing Survey 2014-2015.” Adoptive Families, 24 Oct. 2016, www.adoptivefamilies.com/resources/adoption-news/adoption-cost-and-timing-2014-2015/. “Adoptions in America are declining.” The Economist, The Economist Newspaper, 24 June 2017, www.economist.com/news/united-states/21723876-meanwhile-more-children-need-foster-care-adoptions-america-are-declining. “Adoption Study Discusses Current State of Adoption.” National Council for Adoption, 15 Feb. 2017, www.adoptioncouncil.org/blog/2017/02/adoption-study-discusses-current-state-of-adoption. Crary, David. “As Number of Adoptions Drops, Many US Agencies Face Strains.” U.S. News & World Report, U.S. News & World Report, www.usnews.com/news/best-states/new-york/articles/2017-04-30/as-number-of-adoptions-drops-many-us-agencies-face-strains. “FAQs.” National Adoption Center, www.adopt.org/faqs. “How Long Does It Take To Adopt A Child.” Adoption Network, www.adoptionnetwork.com/how-long-does-it-take-to-adopt-a-child. This entry was posted on Wednesday, March 7th, 2018	at 10:51 am	. You can follow any responses to this entry through the RSS 2.0	feed. Both comments and pings are currently closed.